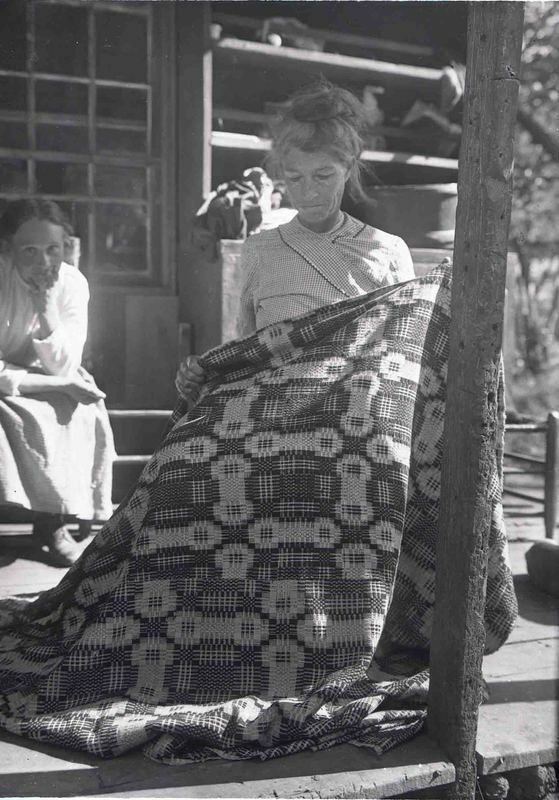 Warren family member with a completed woven coverlet. Mt. Pisgah, North Carolina, ca. 1915.